I know myself that I have a number of different sized PFD’s on board, to cater for different people. Looking back though, there would have been times that the PFD’s I did have onboard would not have been deemed appropriate as the large sized jackets would not have been correctly fitted to any of the people on board. (ii) at least at such longer intervals as are indicated by the manufacturer’s instructions (if any) provided for the lifejacket. In plain english, what this means is you MUST have your inflatable PFD serviced every 12 months unless specified otherwise by the manufacturer. Over the years, the PFD has gone through a number of identification changes. 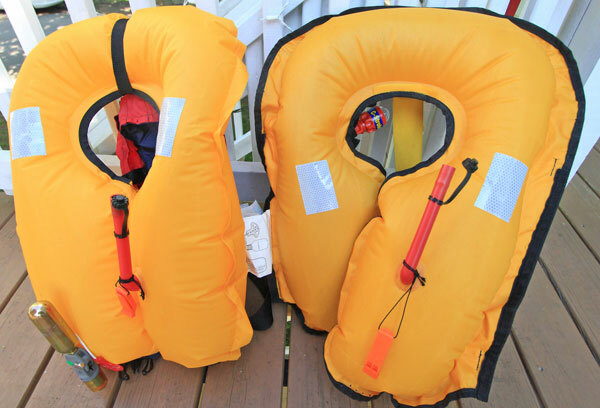 As a child, I always remember them being called a “Life Jacket” then PFDs. This wasn’t the only change though, as the PFD which was available in 3 categories was revised in 2008 to include a 4th. Level 275: are intended primarily for offshore use and by people who are using items of significant weights and thus require additional buoyancy. They are also of value to those who are using clothing which traps air and which will adversely affect the self-righting capacity of the lifejacket. They are designed to ensure that the user is floating with his mouth and nose clear of the surface at an angle and with sufficient freeboard to limit mouth immersions in waves. Level 150: are intended for general offshore and rough weather use where a high standard of performance is required. As tested, it will turn an unconscious person in swimming attire into a safe position. Additionally it will maintain a fully clothed person in a safe position with no subsequent action by the user. Level 100: are intended for use by those who are competent swimmers and who are near to bank or shore, or who have help and a means of rescue close at hand. These devices have minimal bulk and cost, but they are of limited use in disturbed water, and cannot be expected to keep the user safe for a long period of time. They do not have sufficient buoyancy to protect people who are unable to help themselves. They require active participation by the user. Level 50: are intended for use by those who are competent swimmers and who are near to bank or shore, or who have help and a means of rescue close at hand. These devices have minimal bulk and cost, but they are of limited use in disturbed water, and cannot be expected to keep the user safe for a long period of time. They do not have sufficient buoyancy to protect people who are unable to help themselves. They require active participation by the user. – How often do you need to service PFDs? – Who can service PFDs? – What does a service consist of? – From my experience if the regulations or Australian Standards stipulate a requirement for a competent person to carry out maintenance it will be clearly outlined and defined within one or both of these documents what a competent person is. – Browsing several manufacturers websites, there is only a recommendation to have your PFD’s serviced by them. If you do decide to “self service” they encourage you to have at least every 2nd service performed by the manufacturer or one of their agents. – Ensure the correct sized PFDs are available to yourself and your passengers. 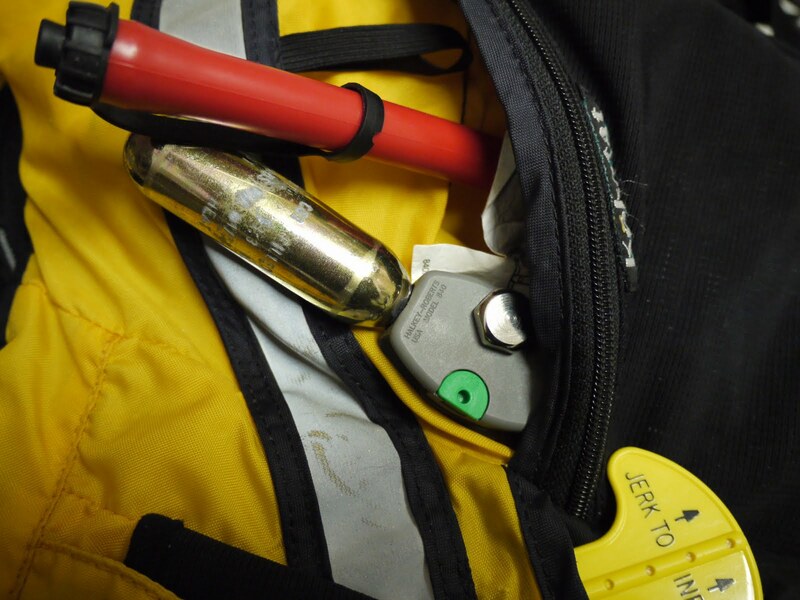 This is the last line of defence in the event of an incident that may save lives. – Ensure the correct type of PFDs are available or being used for the type of activity your involved in. – Maintain your PFD at least every 12 months unless the manufacturer specifies otherwise. – Keep the records of maintenance readily available if requested. – If you are maintaining at intervals greater than 12 months, keep records of the manufacturers recommendation. – If you have any hesitations about “Self Servicing”, have it done by the manufacturer or their authorised agents. This is my interpretation of PFD usage and maintenance within NSW from the information I obtained through OEM websites, NSW Regulations and Australian standards. ← A wider discussion about the finer, sticky points of…trebles! Being a Kayak Fisho – if I get into a situation where I even begin to feel uncomfortable in rough conditions, even in enclosed waters – I manually inflate the PFD so that IF I end up in the water ‘unexpectedly’ – I ALREADY have buoyancy! Offshore – I would recommend it being partially inflated anyway – as you never know if/when you are going to ‘go in’! No need to ‘wait for the emergency’! I have been in the water before and NOT needed the PFD to be inflated, as I was in control of the situation & was not in danger as it wasn’t rough. I was fully clothed & just trod water & did breast stroke until a buddy came to my aid. Be Prepared – Don’t Panic! IF you have difficulty getting back onto your kayak with the PFD inflated – you can manually deflate it a little to make it easier, as the bulkiness of a fully inflated PFD can make very difficult to remount your yak. Just don’t deflate it too much! Also – make sure you have some rope on board with which to TIE YOURSELF to your yak in case hypothermia or tiredness prevents you from remounting – rest up until you get to shallower water or are able to effect a remount or get assistance from buddies or are located by coast guard. Safe Yakkin’! That’s a good tip regarding partial self inflation when in your kayak Roberta. I know I’ve been out in the kayak a few times when it’s been a bit “hairy” Even though I’m confident in my Hobie keeping me upright, it would be a struggle in the water fully clothed if I did fall in, especially in winter. 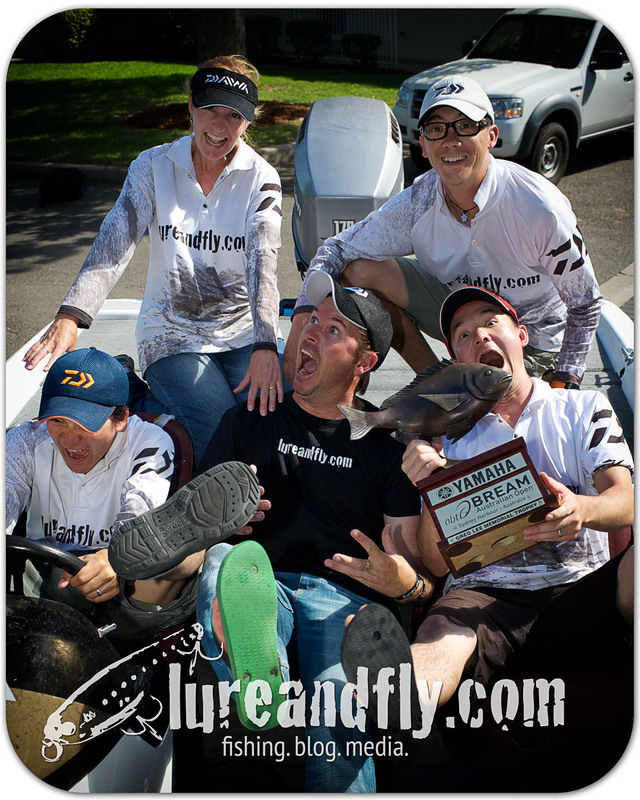 Timely article, Ian with most anglers gearing up for a busy summer on the water. I have the exact checklist and have been servicing my auto inflating PFD s for a number of years but will send them to be serviced by the manufacturer every third service as per their recommendations. You’ll find with the auto inflation models this corresponds to the life of the auto inflation cartridge as well so you might as well get them to replace the cartridge. The gas canisters seem to have a longer life so long as they don’t lose their weight. One gripe I have is needing to replace the firing indicator clip as per checklist. The clip is destroyed when you pull the manual inflator. They sell recharge kits with a new gas canister and only one clip so you’ll have to buy a whole new kit to get a little plastic clip! I’ve been told you can remove the clip before pulling the manual inflator and reinsert it so that’s what I have been doing. Might save a few dollars doing this! Thanks for the feedback Peter. Good to know about the firing pin.